You know there are thousands of people who work as a professional designer or work as an amateur designer to get extra income.In the past years as the internet technology and design world grows,many companies,bloggers etc. begin to hire designers and programmers to own a unique template,logo even a script. I’ve created this article to help all the designers who work as a freelancer or as a professional designer to find design related jobs and of course for the people who want to hire a designer.I want to update this post as i find new job boards so better to bookmark it. Hope the list will help you!!! Sensational Jobs offers full-time and freelance listings for professional web designers and programmers. The site includes live search as well as custom RSS and email alerts. Post your openings and expose them to quality candidates. Find your next Web Professional. Find your next gig or job. Thousands of creative professionals visit Behance daily, and many host their portfolios on the Behance Network. Your job postings will be displayed on Behance, CreativeIndex.com, and select partner sites. Designm.ag re-launched again.They are one of the best and you can find freelance and employment opportunities easily. It is job board directory and this is also one of my favourites.You can find the job list in one page. Everyday 200+ jobs are posted so better to look around for your skills. Creative Hotlist is a customizable online application for connecting talent, companies and services. Much more than a job site for the creative community, Creative Hotlist has a sophisticated search engine and enables users to find individuals, companies and resources for any aspect of the creative marketplace including job openings, creative services, artists, designers, programmers, printers, service bureaus, schools and clubs. JustTechJobs.com is Internet.com’s jobsite and part of the WebMediaBrands. It provides Employers with a technology specific focus and provides Job Seekers with job postings aimed at those specific tech jobs. Dice.com, a Dice Holdings company, is the leading career website for technology and engineering professionals, and the companies that seek to employ them, in the United States. programmers,web developers,designers,entrepreneurs and writers to find each other and work together to create websites that look and function great. Coroflot is an open system. There are no membership requirements, application processes, or invites.you can easily find what design job you want with a huge list. Sologig is the preeminent resource to find contract jobs, consulting jobs, and freelance jobs. Employers are searching Sologig for experienced professionals across various industries. Net4Manpower.com is an incorporated service of net4manpower LTD in United Kingdom providing this online service for the manpower related resources. Using this service you can find the suitable freelancer or companies around the online. It is a blog but i think it is good to put into the list. oDesk is a professional job board site which is really famous.You ca find every kind of design jobs.Another favourite of mine. It is also another freelance search engine.Updated every 8 hours.I like it. Designquote is a bit professional job board for more professional designers but i think you must visit regulary. AllFreelanceWork.com is a central information base for freelancers to find everything that they could need all in one place. We are an online freelance ezine, job site, and portfolio provider all in one. Contracted Work provides a global outsourcing business center in web design, graphic design, writing and more. Another great job board for freelance designers. SitePoint is an online media company and information provider targeting the Web professional market, specifically Web Developers and Designers. When you post your job here, it will be instantly featured on Web Designer Wall and our network sites where designers will see it. Due to our strong following, Web Designer Wall appears on loads of online portals and design publications such as Web Designer magazine, Practical Web Design (.Net magazine), and Computer Arts Projects. One of the main advantages of GetACoder is the low labor cost. The typically rates are about seven times lower than the ones in the US or Europe. Posting a request at GetACoder allows the right professional or company to find you and to bid for your work. 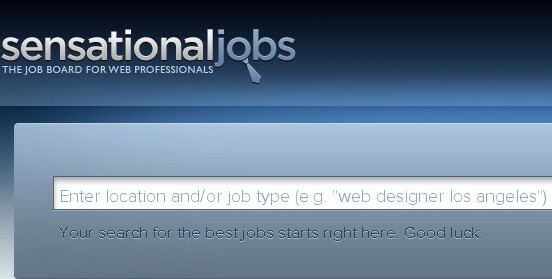 Freshwebjobs.com is a job board with a declared goal of bringing together companies and professionals who take interests in latest web technologies, web standards and web design trends. With more than 1 million registered members, Guru.com is the world’s largest online marketplace for freelance talent and a leader in providing quality freelance services you can trust.Guru.com provides businesses with the ability to find the help they need from a variety of talented Freelancers worldwide. Project4Hire.com is the place to find Freelance Programmers, Web Designers, Graphic Artists, IT Professionals, Translators, Writers, Consultants & other Freelance Professionals. Freelancer.com is a global outsourcing solution and freelance jobs website. Here you can find freelance coders, writers, programmers, designers, marketers and more. You can also outsource projects and save a lot of money in the process. Freelancer.com is a global outsourcing solution and freelance jobs website. Here you can find freelance coders, writers, programmers, designers, marketers and more. You can also outsource projects and save a lot of money in the process. Getting the best web design, professional programming, custom writing or affordable marketing has never been easier! The Designers Network aims to provide a useful directory of design related websites, to enable potential clients to find an appropriate designer or design agency in their local area and to expose designers and agencies in given fields; promoting their skills and services. It is a freelance work search engine and one of my favourites.You can find +50,000 jobs.Great source isn’t it? Industry leaders such as Apple, The New York Times, CNET, Facebook, Adobe, Trek, and American Express use this Job Board to reach today’s best and brightest web minds. Place an advert on our job board for absolutely nothing! You’ll get talented freelance professionals contacting you to discuss your project immediately. Especially you can hire or find programmers in ReadWriteWeb. Join 70-649 online training program to prepare and pass 640-822 as well as 640-816 exam with highest score and successfully complete your certification using our certified resources. Excellent list, thanks for sharing. As a fellow webdesigner , I’m very glad to find that another individual brought up this topic. I didn’t even know of most of these job boards, well done very nice post! I knew of some of the main boards, but I have to give it to you for finding so many great ones! Excellent list! I think you have missed a few good websites offering excellent job opportunities for programmer and designers. I can suggest a few rentacoder, odesk, limeexchange etc. Great list guys, well done! I want to recommend on another service for designers, called DoNanza which let you easily search graphic design projects from across the web, matching your budget expectations. Great list! 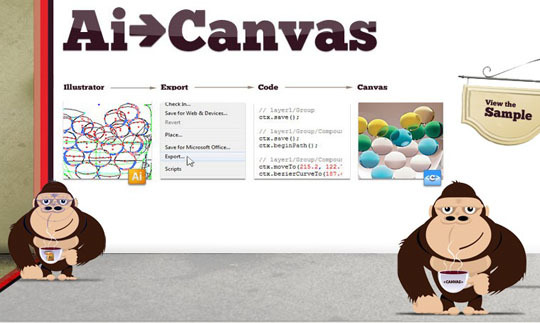 You could have also included Haystack.com, and sortfolio.com for web designers. Fantastic list and thanks for including the Xemion Job Board! Its Looooooong But Excellent list. I am definitely bookmarking this page for future Reference. Excellent list here, thanks for sharing. For PHP developers based in the UK, can I suggest PHPJobs.co.uk at http://www.phpjobs.co.uk/? It’s free for recruiters to post jobs, and therefore features many opportunities that don’t make their way onto the more mainstream job boards. Nice article. Not a job board, per se, but http://whichLance.com is the world’s first freelance marketplace comparison site offering search, side by side comparison, reviews and ratings of all the leading freelance marketplaces. The site launched in April, and we have over 30 professional reviews in place already – with another 70 or so pending! 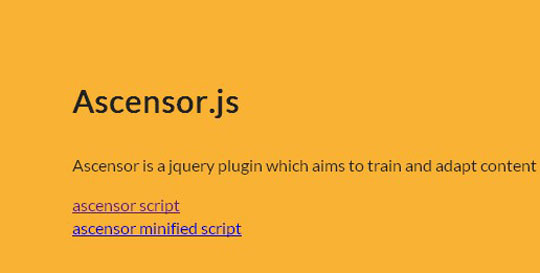 I would like to recommend another site for freelance coders. It allows you to post your services at fixed rate and offers bunch of other tools. A business can profit from using a freelance web designer. Such a designer does not have set working hours. Great list of tech job resource links, wish we were online when you created it. thanks for the list! some good sites here. http://www.push1.com/freelance/ is another good suggestion. what about some good freelance uk forums?